College disc golf action continued over the weekend with three qualifying tournaments across the country. Teams from the South battled for the Southern Collegiate Disc Golf Association title while others took to the West Coast College Open or the Boilermaker Battle to try and earn their spot to the National Collegiate Disc Golf Championships. 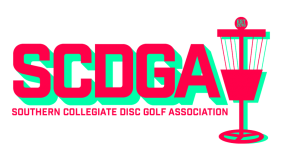 The nine-week SCDGA season reached its climax on Saturday and Sunday as the top teams battled at the Traxx disc golf complex in Bryant, Arkansas for the right to be called conference champion and to earn a bid to April’s NCDGC. Two-time defending champions Arkansas State University entered the season finale undefeated and on top of the SCDGA standings, a testament to the team’s hard work throughout the season. “We always made sure we were the most prepared team and we knew what it would take to win,” said Red Wolves team captain Parker Sitton. Those wins allowed Arkansas State to have a bye to the semifinals of the conference championship. Joining Arkansas State with a bye was Hendrix College, who finished the season 4-2 and Southern Arkansas University, courtesy of a forfeit. The opening round saw action between the University of Tulsa and the University of Arkansas. After singles play, Tulsa led the match 3-1 by winning three singles contests. The Golden Hurricanes went on to win the doubles match to complete the 5-1 victory. Their reward for winning? A matchup against the favorites from Arkansas State. In that matchup, the Red Wolves found themselves in a familiar position after singles play — winning. Ahead 3-1 going into doubles, ASU continued their winning ways by beating Tulsa in doubles to win the match 5-1. The key to their success in this match and throughout the season? Chemistry. The other semifinal matchup was a rematch from a competitive week one battle between Southern Arkansas and Hendrix College. SAU won that one in a playoff and the rematch looked to be equally competitive after singles play with each school picking up two wins. In the doubles battle, the Muleriders from SAU came out on top, winning by two strokes and earning their spot into the finals against Arkansas State. Back in week seven, Southern Arkansas gave Arkansas State its biggest test of the regular season. The Muleriders looked to be on pace to upset the Red Wolves in that matchup after they won three of the singles matches, but the rare occurrence of being behind helped to build Arkansas State’s mental fortitude. Both McCann and Aschbrenner continued to play big roles for their team as SAU and Arkansas State played a 36 hole gauntlet to decide who was going to be the 2018-2019 SCDGA champion. After the first 18 holes, Arkansas State held a two-stroke lead over the Mullriders, and the Red Wolves expanded their lead to five after the front nine of round two. SAU tried to make a late push in the final nine but Arkansas State was able to hold them off to complete the three-peat. 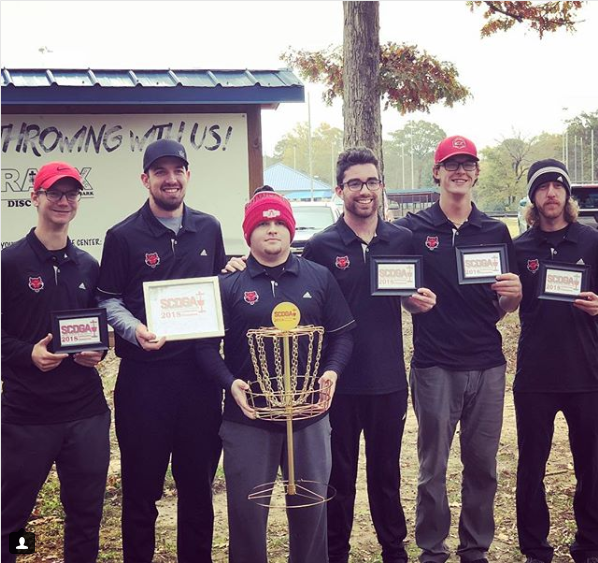 While the three-peat may indeed be sweet for the Red Wolves team that included Sitton, McCann, Eli Webb, Travis Cross, Jesse Duvall, and Aschbrenner, the college disc golf experience may be sweeter. Sentiments aside, the team will be ready for April. 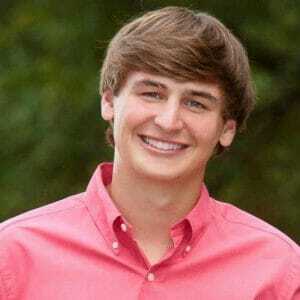 “We will definitely be ready come Nationals. We want to win and that’s been a goal since 2016,” Sitton said. All-Conference awards were handed out to Jeremy Hunter (SAU), Parker Sitton (ASU), Dylan Holladay (Arkansas), Charles McCracken (Hendrix), and Kellan McCann (ASU). Other teams who earned their spots to the 2019 NCDGC over the weekend included Oregon State, who won the West Coast College Open, and Purdue, who beat perennial powerhouse Ferris State by eight strokes at the Boilermaker Battle. Comments on "Arkansas State Wraps-Up Conference Three-Peat"